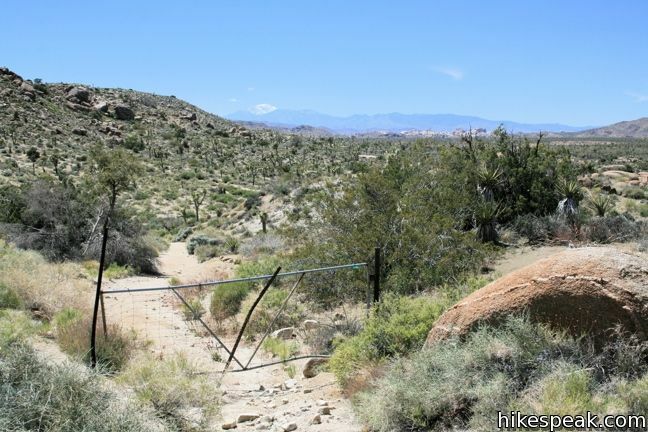 Lucky Boy Vista Trail offers a level 2.5-mile round trip hike to a modest overlook at the site of an old mine. 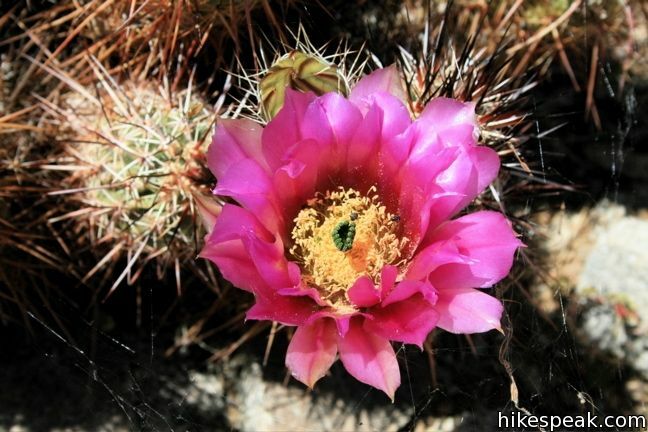 The trailhead is a half-mile from the Pine City – Desert Queen Mine Trailhead and easy to find. 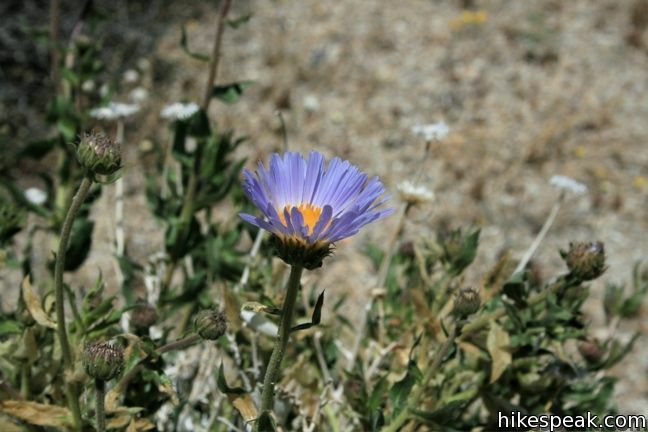 There are no junctions along the trail to be concerned with. 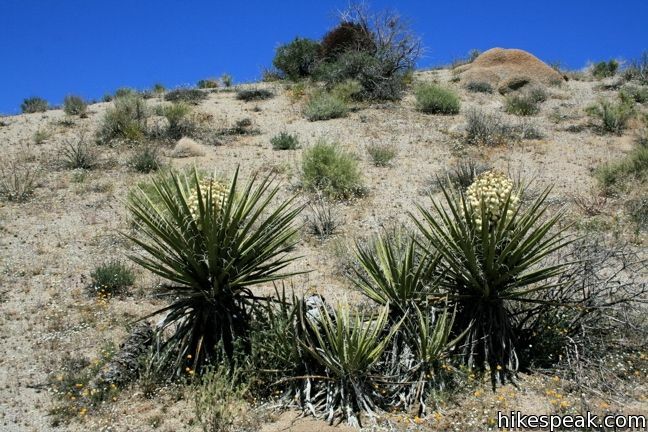 From the parking area, hike southeast across the desert on an easy track that climbs just 125 feet over 1.25 miles. 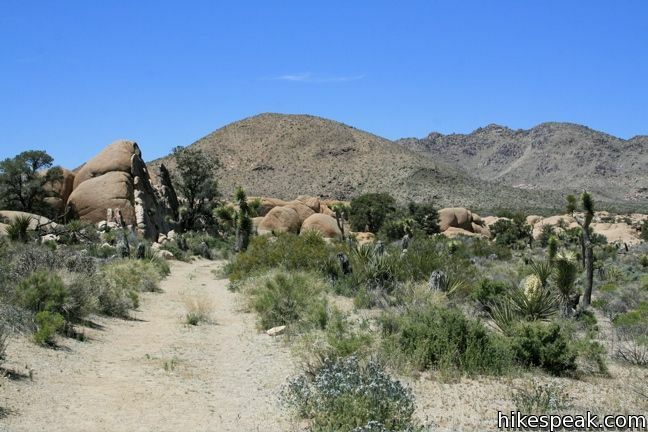 Small rock formations border the trail, but otherwise the desert surroundings are open and sprawling. 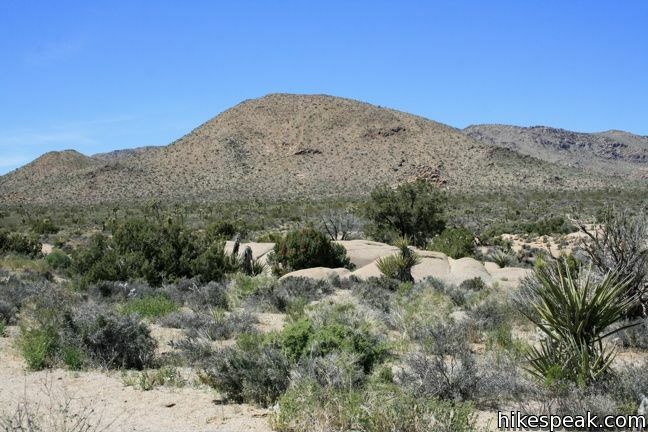 Turn around for a view of Mount San Gorgonio, the highest mountain in Southern California, rising above the desert floor. 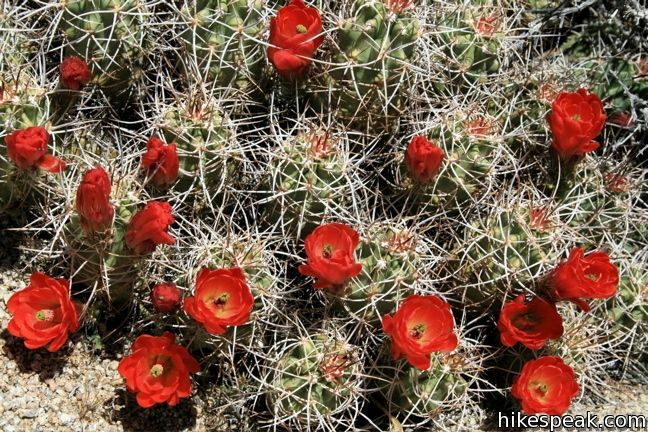 Pass around a metal gate at the halfway point and continue through the desert of Joshua trees, yucca, and cacti. 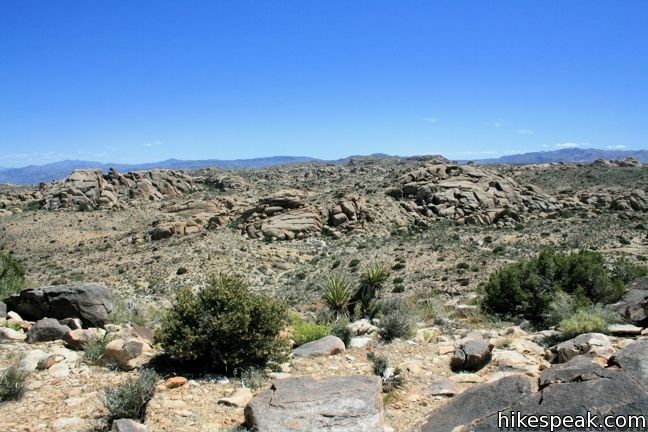 At 1.25 miles, the terrain drops away to offer a view of the rock formations to the northeast. A footpath continues beyond the ridge to connect to the Split Rock loop and Split Rock Picnic Area off Park Boulevard. This is by no means the best viewpoint in Joshua Tree, but considering the minimal effort, it wouldn’t really be fair if it was. 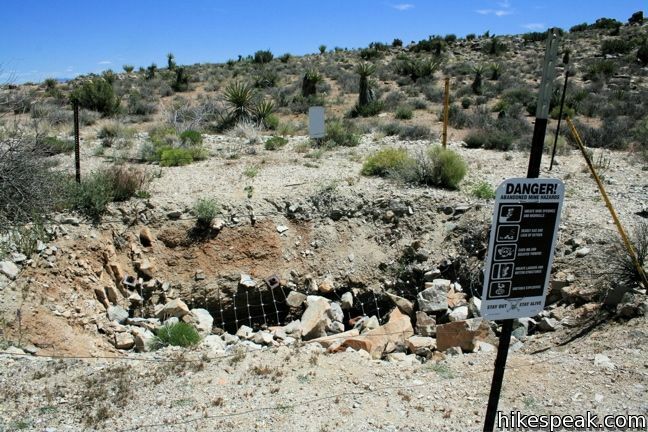 After enjoying the “lucky boy” view, double back and take a look at the vertical mine shafts just off the trail to the east. 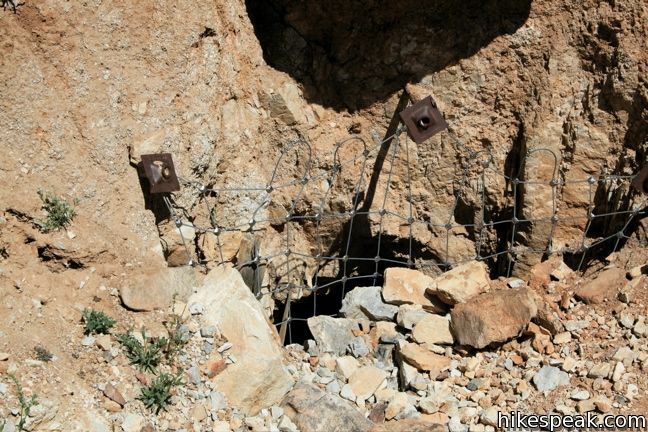 The shafts are surrounded by fencing and covered with rocks and grates. They are the only obvious remnants of Elton Mine. After taking it all in, find the trail again and return the way you came. 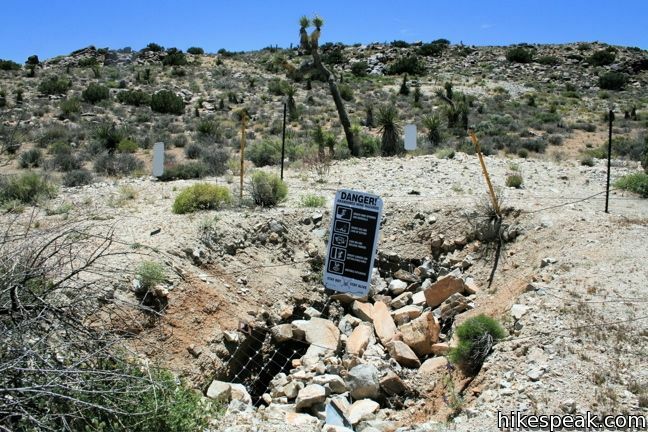 To see more mine shafts and remains, take the nearby hike to Desert Queen Mine. 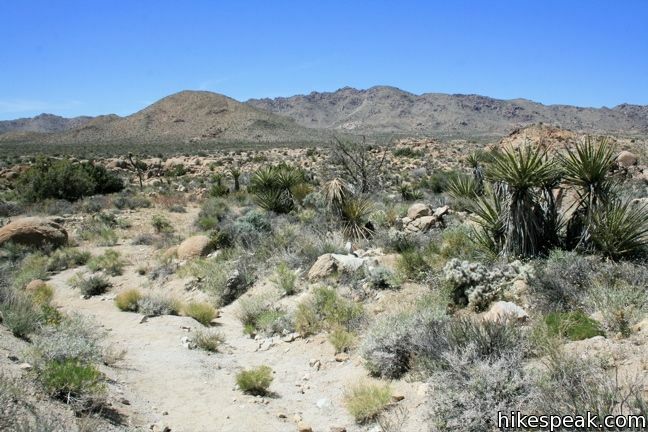 To get to the trailhead: From Park Boulevard 5 miles west of the intersection with Pinto Basin Road, turn north on Desert Queen Mine Road (opposite Geology Tour Road). 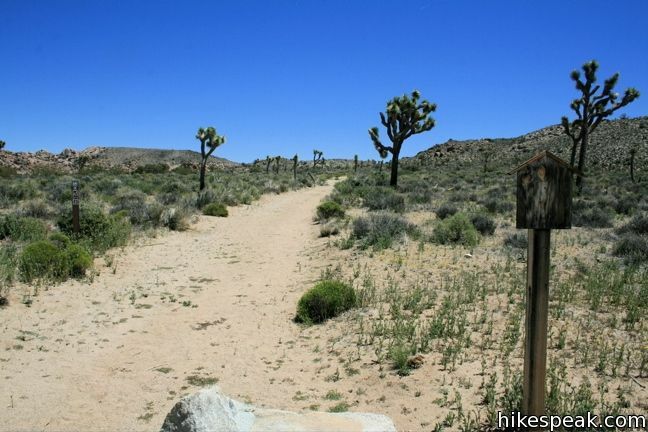 Drive less than a mile over dirt road and turn right into the parking area with the blank trail sign. 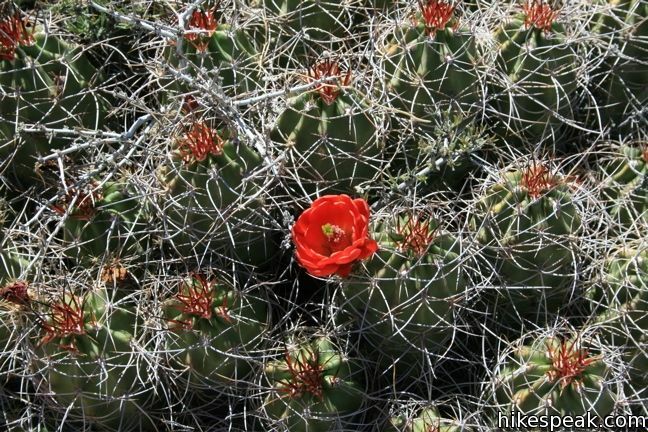 This is the only turn off en route to the Desert Queen Mine – Pine City Trailhead. 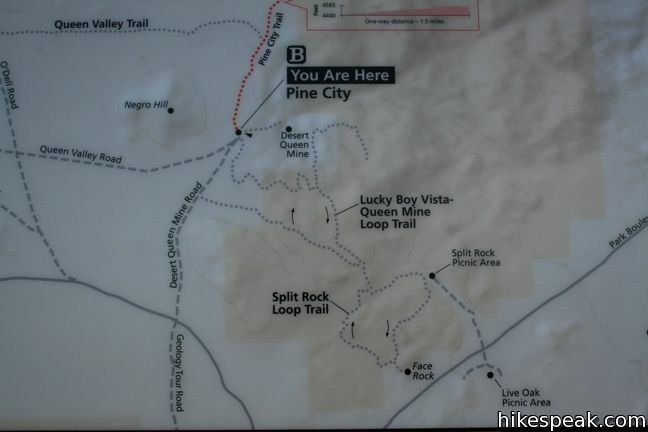 This is not the Lucky Boy Vista trail that you will hike if you get a map from the NPS at one of the park visitors center. 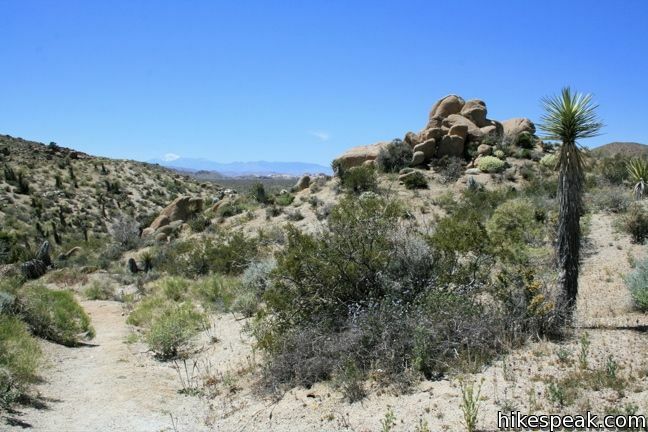 That trail is longer(over 6 miles), has some fun scrambling and bouldering over trails that are not well marked and is set in a loose sand dry creek bed for the first 1 1/2 miles (the sand makes it a not very enjoyable slog). 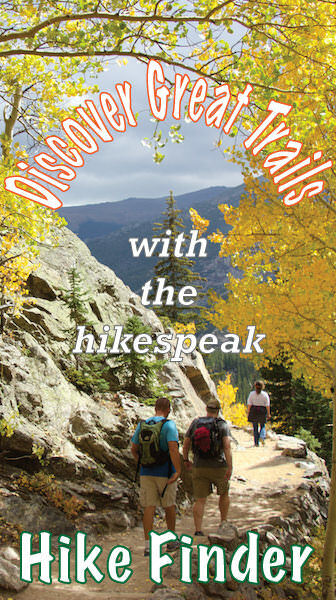 NPS staff called it a new trail. Find another trail until they re-route out of the sand and mark the rest of it.